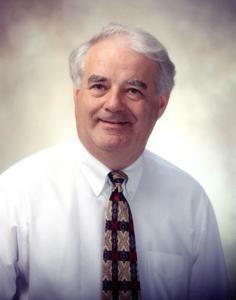 Carl Harvey Wassink passed away Friday, July 6 at Holland Hospital surrounded by his family. He was born to Henry and Cornelia (Blauw) Wassink of Hamilton, Michigan on January 9, 1939. Carl graduated from Holland High School and served in the United States Army. From an early age, he developed a strong work ethic, working in several different trades. He was an entrepreneur, having a successful career as owner of Shoreline Creations and Group Tour Magazine, where he retired. He was past Commodore of the Bay Haven Yacht Club, a member of the White River Club, and American Legion. Carl had a passion for traveling, visiting all 50 states. He and Ruthie enjoyed spending many winters in Arizona with friends and family. Despite his Alzheimer's diagnosis, Carl faced this challenge head-on, as he did other things throughout his life. He was the eternal optimist and always managed to keep a sense of humor. A good friend to many, he will be sadly missed but never forgotten. He will be lovingly remembered by his wife of 44 years, Ruth Wassink; children Nick and Jo Ann Wassink, Dan and Bethany Wassink, Whitney and Edward Gasper (Guy, Jack, Annie, Megan), Melissa and David Tatlock (Justin, Maddie, Sam). Siblings Stewart and Shirley Wassink, Don and Lorna Wassink, Sharon and Larry Haverdink, Vern and Linda Wassink, Hugh and Paula Wassink, Robert and Cathy Wassink. Sisters-in-law Marilyn Wassink and Jan Van Dyke, as well as many nieces and nephews, and close friends. He was preceded in death by brother Dr. Jerome Wassink, brothers-in-law Jerry Van Dyke and Dr. Calvin Dykman. A memorial service will be held at 1 pm Thursday (July 12) at the Dykstra Funeral Home-Northwood Chapel, 295 Douglas Avenue, with the Rev. Mark Kleinheksel officiating. Visitation will be one hour prior to the service. Memorial contributions may be made to the Children’s Advocacy Center or the Day Center of Evergreen.